Sometimes it is hard to get the texture just right when you are attempting the art of gluten-free baking. Gluten-free flour can often leave a gritty consistency that is not desirable in your baked goods. This recipe includes a not-so-secret ingredient which will help you tackle that problem with ease. 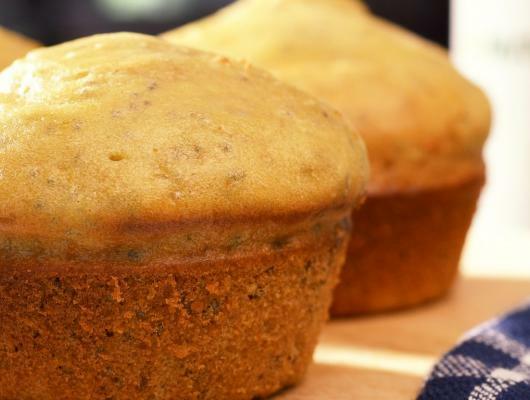 Coconut oil is just the right thing to combine with your gluten-free flour to make your muffins come out light, airy and smooth. You won’t be able to tell the difference in these treats and their less healthy counterparts. The best part about this recipe is that you will be adding chia seeds. These little powerhouses are full of Omega 3 fatty acids to help control your cholesterol. They also offer lots of antioxidants and fibre to keep you feeling great. These little snacks are going to get you really excited about healthier baking, so let’s hear a big chia!